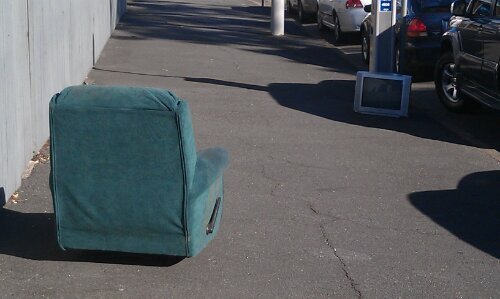 I think the TV was put there for kerbside garbage collection. Perhaps the couch was the same…? This entry was posted in short and tagged life, photo, random. Bookmark the permalink.